Kevin Clarke, owner of Metro Industrial Tire in Chicago. In a $151 billion dollar industry, off-the-road (OTR) tires make up just 11% of the overall market. Narrow further and you find materials-handling tires, an important yet often overlooked part of the OTR mix. Narrow further yet and you find Metro Industrial Tire, with two locations outside of Chicago, building a solid business based mostly on solid tires. When Metro Tire owner Kevin Clarke started in the tire industry 40 years ago, he cut his teeth on solid tires with an industry icon as his first boss and early mentor. After his father set him up for a job interview at Dave Bloom Tire, an industrial tire company, he went reluctantly. Working in sales for the industrial tire company meant working with its owner, Mr. Dave Bloom himself. Part of pushing the then-rookie Clarke was mentoring him in negotiating with challenging customers. While Clarke was young and reluctant to engage in difficult conversations, Bloom forced him out of his comfort zone. The result was his fast success. Two years later, Clarke met his future wife when she came to work for the business. At age 34, Clarke was finally ready to go out on his own. It was then that he partnered with Joe Hoobyar to open a second location of Hoobyar’s Metro Tire, this one on the north side of Chicago. Today the company specializes in tires for forklifts and skid steer equipment, plus rubber tracks. When asked why they decided to pursue such a specific niche as materials handling, Clarke explained that there wasn’t as much competition in Chicago when they started out, so they were able to gain market share along with a strong client base. Tires stacked in a warehouse at Metro Industrial Tire in Chicago. 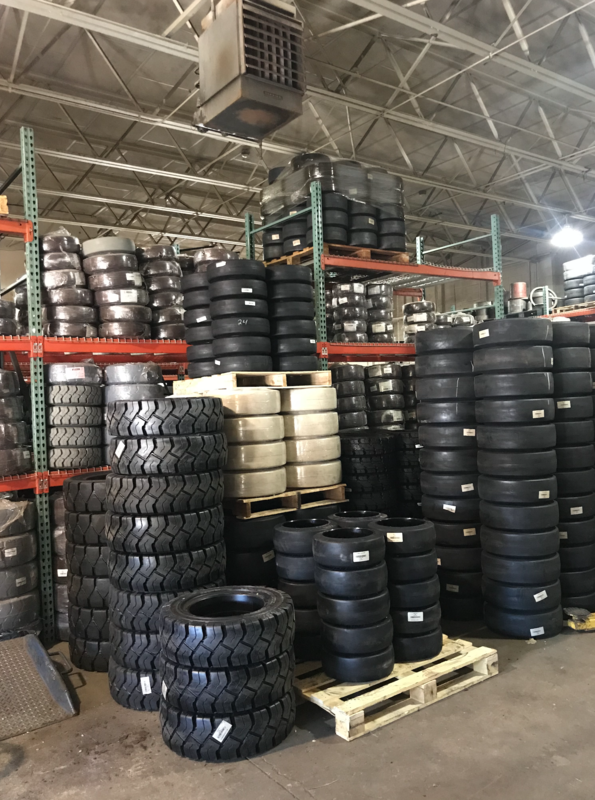 To manage the volume of forklift tire replacement, Metro Industrial has a total of six service trucks to handle their many press-on tire installations. 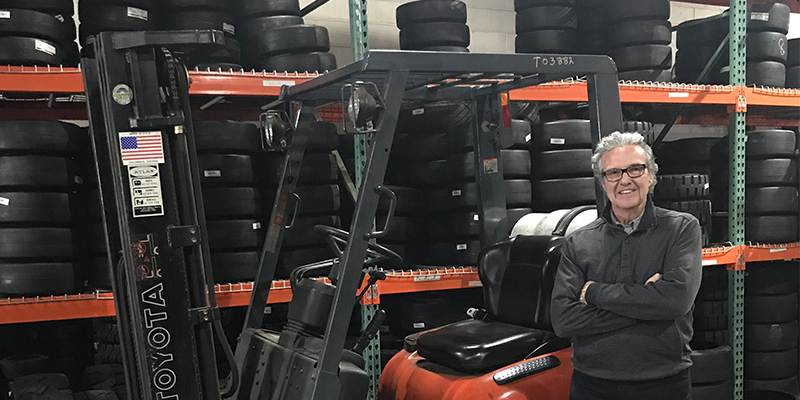 And after proving themselves as a leader in such a niche business, today the forklift equipment dealerships in the Chicagoland area send their tire work to Metro. Getting started in the materials handling business can be expensive. Specialized press equipment is required, which is a capital-intensive investment. Plus, according to Clarke, installing solid tires is hard work and not something a lot of traditional tire dealers want to be bothered with. That said, they still have competition. Metro Industrial Tire carries two tire lines: Solideal (now Camso, which was recently acquired by Michelin) and Globe Star, plus Superior for poly press-on tires only. When it comes to finding new technicians and employees, Clarke said they look for people with mechanical aptitude, such as auto mechanics or people who have experience working at forklift companies or as forklift techs. And unlike technicians at traditional tire dealerships, Metro Industrial supplies employees with their tools and all they need for the job. 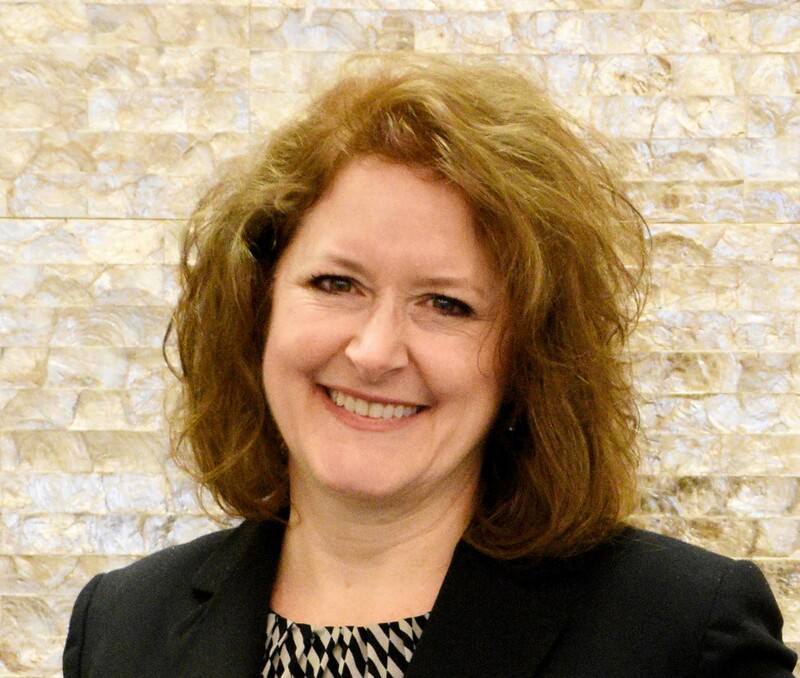 With such a strong reputation in the Chicago area, Clarke works hard to maintain a high level of trust with customers. Similar to the commercial tire business, a customer with a piece of materials handling equipment that’s down for service often results in both headaches and lost revenue, so Clarke and his team do their best to make sure the customers are delighted. According to Clarke, the secret to his success is a combination of fair product, fair pricing and the fair treatment of customers.